I’ve pulled myself out of a bit of a nosedive in time to do one last post for 2014…although for some readers in far-off lands the year of 2015 will already be a few hours old. The last 25-30 posts were all put together in a burst of activity before I headed off on holiday a few weeks back, mostly as an insurance policy in case I ran into problems with motivating myself on my return although I usually find that relaxing on the beach gives me some fresh inspiration and leads to all sorts of new postings and long-term features. But this time I came back devoid of ideas and then just before Xmas I learned of three separate deaths over three successive days which affected the families of some of my very closest friends. To put it mildly, I was on a bit of a downer and although Xmas with Mrs Villain was enjoyable enough, I haven’t been motivated enough to return to the keyboard. Till now. First of all….a huge thank you to those of you who said such lovely words on the occasion of the 500th posting on T(n)VV – they were hugely appreciated. Thirdly….apologies in general if some of you have dropped an e-mail to me in recent weeks. The malaise around the blog has extended to the e-mail account which hasn’t been opened in nearly four weeks. I’m going to get round to it again soon. The strange thing is that, from a musical perspective, 2014 turned out to be hugely enjoyable in many ways, primarily from the number of tremendous and unusual live shows that I managed to get along to. Glasgow’s hosting of the 2014 Commonwealth Games also saw it host a diverse cultural programme, within which sat something called the East End Social (click here) which was single-handedly responsible for some of the most unforgettable moments in what is now 35 years of going along to gigs. The year was rounded off by something special too, namely getting to see The Twilight Sad at the Tolbooth, a 200-capacity venue in Stirling, when the band demonstrated just how strong and memorable their new songs are while somehow also making the old favourites sound better and more powerful than ever before. I’ve also got into the habit in recent years of holding back on some of the music I’ve most wanted to buy so that Santa can bring me joy on Xmas Day. 2014 was no exception and this past week has seen me really appreciate the work of Honeyblood, The War on Drugs, Owl John, Roddy Frame and the wonderful soundtrack that Edwyn Collins put together for The Possibilities Are Endless film. 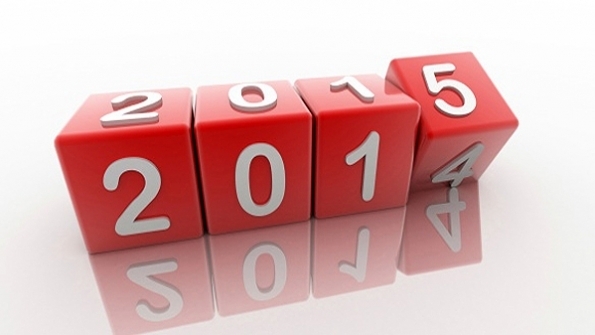 2015 will hopefully turn out to be half-decent. I’ll do my very best to keep T(n)VV ticking over. Thanks for being part of it. This was the final few minutes of a look back at 2014 which went out on BBC2 in the UK last night. I can’t think of a better way to end the year. Picked up a 12″ copy of this for just 50p not too long ago. Then I picked up a copy of the LP Waiting, from which the single was lifted, for just £1 the day after in a totally different shop. 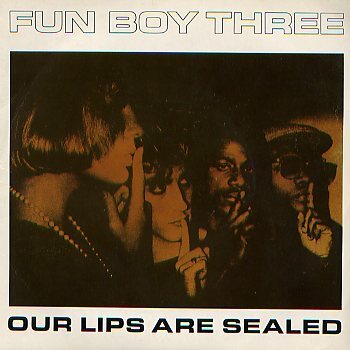 Until then I had no idea that David Byrne had been behind the production desk…..
Fun Boy Three are a band that don’t get the praise they merit in blogland. Maybe it was because they formed from the messy break-up of critically acclaimed The Specials or maybe it is because Terry Hall would enjoy more success later on his career with The Colourfield. I don’t know…. I liked them a lot. They made great pop music and yet the lyrics were often edgy and confrontational, particularly in regards to dealing with nasty night-wing racist bigots. They weren’t afraid to have fun…although whenever you looked at Terry Hall performing with them on any telly programme of the era he seemed a right miserable sod. The sum of their recording career was two LPs, both of which went Top 20 and eight singles (nine if you include their collaboration on Really Saying Something by Bananarama), most of which also went high in the charts. Their final hit was a cover of a song that Terry Hall had co-written with Jane Wiedlein of The Go-Gos and it reached #7 in the singles charts in mid 1983. What I hadn’t appreciated until I played the disc is that the single is a completely different mix from that which originally appeared on the LP. Anyone else listen and think of Blancmange doing Living On The Ceiling??? 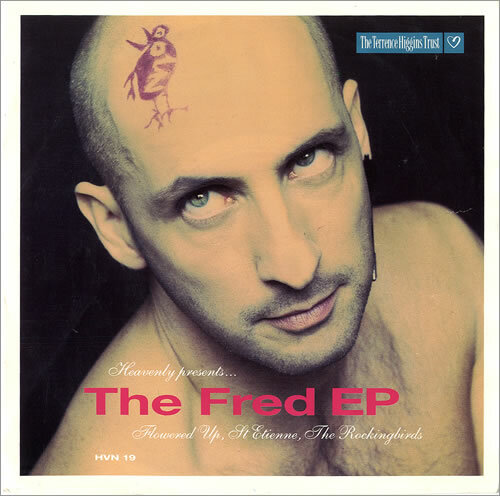 For those who perhaps don’t know, Right Said Fred were absolutely massive in the UK in 1991 and 92. Their first three singles, all of which are covered on this EP, went Top 3. Since then, they have continued to record and tour without achieving much in the way of chart success….but they have an incredibly loyal fan base which ensures their gigs tend to sell out. The EP features three of the best-known artistes on Heavenly Records and all profits from the release went to supporting the AIDS charity, The Terence Higgins Trust. As with most charity records, the cause is better than the music…..none of the three songs featured do all that much for me I’m afraid to say. But feel free to disagree. I know from past experience that the number of hits and visits to the blog goes down quite dramatically at this time of year and so I’m going to use the period to look back at some postings from September 2011. Normally on a Saturday I’m to be found taking a look at a song by The Smiths. I will return to that particular series in October, but for today I thought I’d have a quick look at the band who supported Moz & Co the first time I ever saw them away back on 2 March 1984 at the Queen Margaret Union in Glasgow. The support act were Red Guitars, one of the three bands from Hull who The Housemartins thought were better than themselves. They consisted of Jeremy Kidd (vocals), Hallam Lewis (guitar), John Rowley (guitar), Louise Barlow (bass) and Matt Higgins (drums). They were another of the bands from the early-mid 80s who were happy enough to play at gigs that were seen as supporting left-wing/socialist causes in the UK and internationally (the hint is in the band’s name….) and naturally enough got some positive press in the NME. But the music they were making did mark them out as well worth a listen. 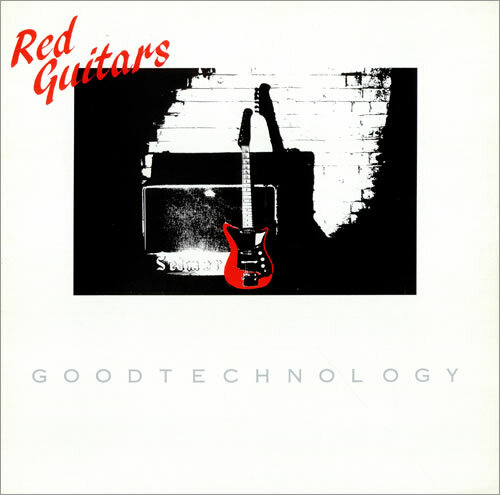 Their first single was Good Technology, released in 1983 on their very own label which was called Self Drive Music. It was a hit in the Indie Charts and at student discos up and down the land. They were a band that always seemed to be out on tour and were considered a very good act which is probably why they landed the job of supporting The Smiths on their first ever UK-wide tour. Despite being a well-respected band, they never really achieved mainstream success – indeed the debut single, which was re-released in 1984 at the time of debut LP Slow To Fade – is their best-known song and is reckoned to have sold around 60,000 copies between the two issues. The constant touring, comboned with the pressures of running their own record label, led to tensions and lead singer Jeremy Kidd quit in late 1984 just a short time after the release of said debut LP. The band continued on bringing in a new vocalist in Robert Holmes for vocals, but were never the same again, even among the critics. But you can never take away the fact it was a cracking debut single. Now this one I did buy….and it is currently the last Morrissey 45 I bought at the time of release which was January 2014. 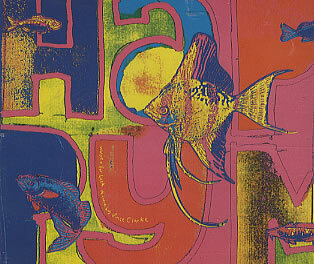 The single was a bit of a rush-release, with a digital version coming out just six weeks after the death of Lou Reed. It’s a live cover recorded in November 2011 in Las Vegas but which had been a staple of all the live shows throughout that particular year. I was hacked off that the other track on the 7″ was the studio version of You’re Gonna Need Someone On Your Side, especially as the 12″ and digital versions had other stuff to perhaps get excited about. I was even more hacked off when I played the two live tracks – having heard Moz give decent performances of both of them at various times at small venues in Scotland I wasn’t prepared for the poor quality of what had been captured and put on the single. Hugely disappointing stuff and again an example of taking the fans for granted. All of the above were also taken from the same Hyde Park in London show as the Buzzcocks cover. 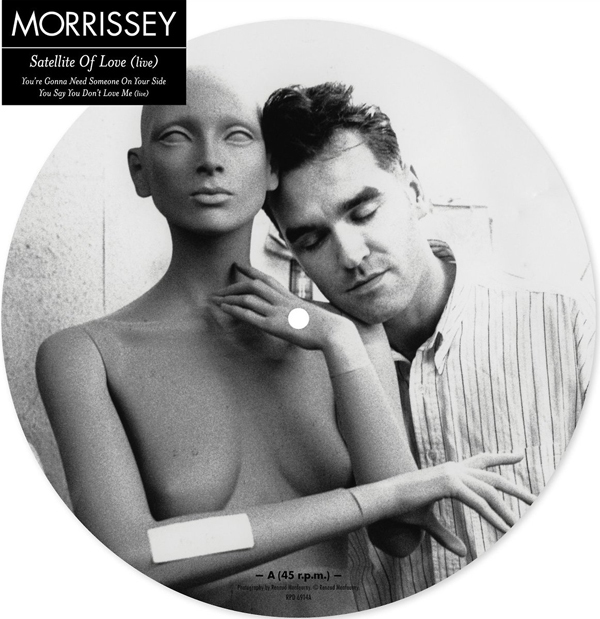 The digital single sold enough copies to take it to #124 in the UK singles chart and that is now officially the lowest ever position for any Morrissey single although a number of the limited edition releases didn’t chart at all. Twin brothers Bjorn and Eric Sandberg, bassist Mark Corrigan and drummer Scott Sieczkowski formed Wake the President in 2005 while the twins were students at Glasgow University. Informed by a number of shambly indie pop acts from the ’80s and ’90s (the Go-Betweens, Arab Strap, and Orange Juice among them), the group put together a group of demos that welcomed comparisons to the Shout Out Louds, Je Suis Animal, and the Pains of Being Pure at Heart. The band was eventually picked up by Douglas MacIntyre and Ken McCluskey’s Electric Honey Records, a student-run label (manned by the music industry management students of Glasgow’s Stow College) that gained some attention in 1996 for releasing Belle & Sebastian’s Tigermilk. 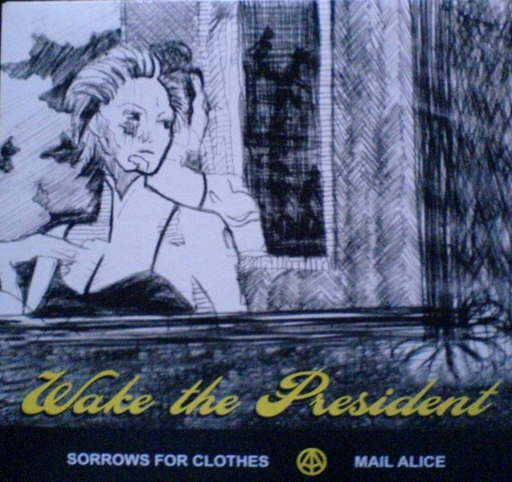 Wake the President’s debut single on that label, “Sorrows for Clothes,” was released in 2007; another single, “Remember Fun,” came out on Norman Records soon after. In 2008 the singles caught the attention of BBC Radio 2’s Stuart Maconie and Mark Radcliffe; the singles were put into rotation, and each song went on to earn the coveted title of single of the week. Wake the President’s debut full-length, You Can’t Change That Boy, was released in the U.K. and the States the following year, on Electric Honey and Magic Marker Records, respectively. They followed it up in 2011 with an album titled Zumutung! on We Can Still Picnic records. By all rights, I should adore Wake The President given all the boxes they tick in terms of influences and the great names from the Glasgow pop scene who were working with them from the start. And while a recent listen again to this debut single and debut album does demonstrate some really good songs my lack of love for the band was coloured from going along the LP launch at the beginning of 2009 and coming away incredibly underwhelmed. Maybe I just caught the band on a bad night or maybe I just expected too much from them but apart from the sound being really awful (which makes me think the choice of venue was probably wrong – they went for a grand looking old hall which is more used to staging wedding and ceilidh bands rather the alleged bright new things of Scottish indie-pop) there was also the thought that the boys took the audience for granted and posed their way rather than grafted their way through the set. The day after Christmas can sometimes be a bit of an anti-climax. I hope it is not the case with you dear readers. The folk I feel sorry for are those in the retail sector. They probably finished at 6pm on Christmas Eve after about three or four weeks in a row without a day off during which time they dealt with customers who were clueless and often rude. I certainly saw some supermarket check-out staff get a mouthful of abuse because the shop had the temerity to have run out of some foodstuffs and those who left it till the last-minute were disappointed and in some cases angry. Today, many of those hard-pressed workers will have had to go to their place of employment at stupid o’clock to get their shops and stores ready for those who still think that the best bargains in retail world are to be had on 26 December and so they queue up for hours, often in the miserable cold and wet, and then have a mad dash inside when the doors open. I guarantee there will be footage on the news later on.